SECTION 03380: Micro-Top Skim Coat Material: The Contractor for Bomanite’s Micro-Top cementitious skim coat application shall be Bay Area Concretes, Inc. and provide conclusive proof that he is qualified to and has previously produced Micro-Top paving and can comply with the provisions specified herein and shown on the plans. Proof shall be in three high quality installations, similar in scope to that specified herein, and located within a 50-mile radius of the City. Evidence that the Contractor is qualified to comply with the requirements specified herein shall be submitted to and be subject to the approval of the Architect, Engineer, City Official, and/or General Contractor. Micro-Top Colors: Standard or Custom Bomanite Selection T.B.D. 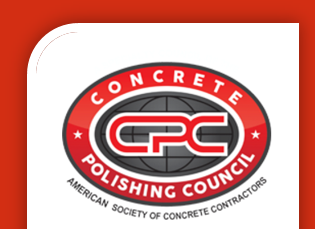 Concrete to be Micro-Topped shall have been prepared by the installing contractor with a thorough pressure wash, beadblasting, sanding, light sandblasting / whipblasting operation, or a heavy sandblasting treatment. All barriers to Micro-Top adhesion and penetration should be removed prior to the cementitious skim coat application. Usual thickness is 20 mils +/-. If water is prone to penetration into the original concrete slab areas to be Micro-Topped, the Micro-Top coloration traits will run a higher risk of color variation and/or “whitening”, from area to area. This type of Concrete should always be treated first, with “Con-Shield” sealer by Bomanite. This sealer can HELP to reduce the CHANCES of water penetration into the Micro-Topped slab areas caused by either hydrostatic pressure or some other type of water migration. Existing concrete surface should be pressure washed, sandblasted, or otherwise prepared and cleaned prior to Micro-Top application. The larger existing concrete surface cracks should be “bridged” prior to start. The sub-concrete surface should be sealed with “Con-Shield” by Bomanite.